The chill from the 'Beast from the East' compelled shoppers to hunt online for bargains from the comfort of their own homes than hit the High Street in the run up to Easter, new figures show. In-store sales of non-food products fell by 4% in the three months to March, according to figures from the British Retail Consortium (BRC) and KPMG. However, online sales of non-food products grew 7.9% during the same period, against a growth of 6.6% in March 2017.The report said the period was volatile - saved only by an earlier Easter which helped to offset the impact of the "seemingly endless" cold weather on sales.UK retail sales increased by only 1.4% on a like-for-like basis compared with March 2017, when they had dropped 1% from the preceding year.But the extreme weather did not dampen people's appetites, with food sales rising by 4.2% - the strongest three-month average since July 2009.Helen Dickinson, chief executive of the BRC, said: "March paints a volatile picture for sales, which experienced peaks and troughs to deliver some modest growth on last year. "The positive distortion from the timing of Easter pushed sales up by over 15% during the holiday week compared with the rest of the month, only just making up for a sub-zero performance at the start of the month. "There's no doubt that the Beast from the East and its successor played a significant role in deterring shoppers from making store visits. "But it didn't dampen consumers' appetites towards food purchases, which saw the anticipated spike from the Easter festivities. 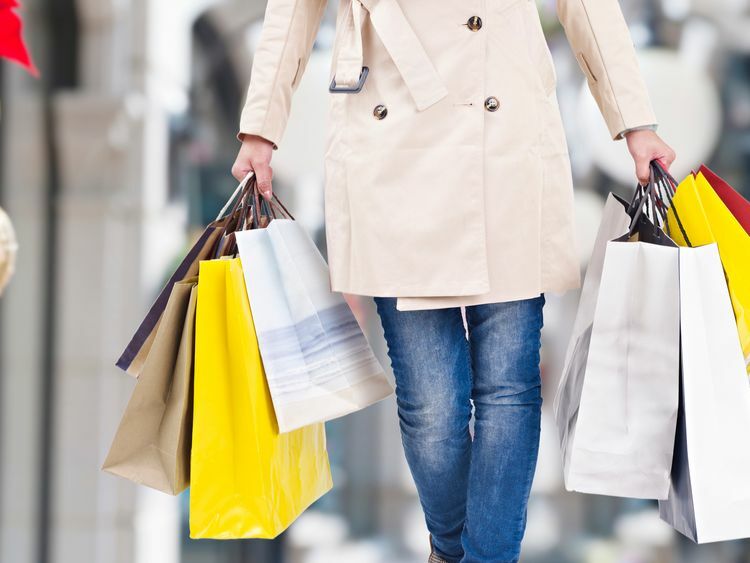 "Separate figures from Barclaycard also confirmed a picture of poor sales for traditional retailers due to the extreme winter weather.Consumer spending slowed to just 2% in March - the lowest level since April 2016.Spending on essentials grew more strongly than spending on discretionary luxuries, it found.Stores have been struggling as rising inflation combined with sluggish wage growth means consumers' spending power is shrinking. Paul Lockstone, managing director at Barclaycard, said: "It seems consumers have become accustomed to adjusting their budget and as a result, are more confident in their own finances. "While there are bright spots, however, it's important to note that a sense of caution still remains, with many of us hesitant to change our spending patterns no matter what the next few months may bring."